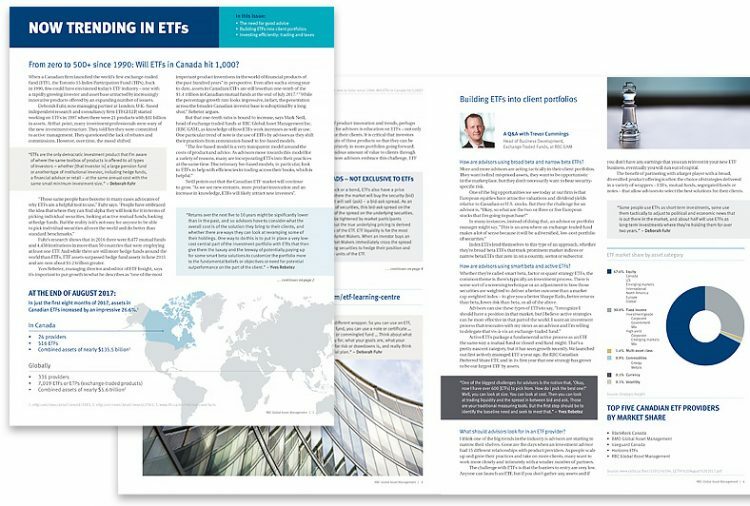 When a Canadian firm launched the world’s first exchange-traded fund (ETF), the Toronto 35 Index Participation Fund (TIPs), back in 1990, few could have envisioned today’s ETF industry – one with a rapidly growing investor and asset base attracted by increasingly innovative products offered by an expanding number of issuers. ® / ™ Trademark(s) of Royal Bank of Canada. Used under licence. 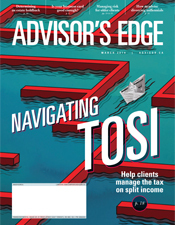 Commissions, management fees and expenses all may be associated with investments in exchange-traded funds (ETFs). Please read the prospectus or Fund Facts document before investing. ETFs are not guaranteed, their values change frequently and past performance may not be repeated. ETF units are bought and sold at market price on a stock exchange and brokerage commissions will reduce returns. RBC ETFs do not seek to return any predetermined amount at maturity. Index returns do not represent RBC ETF returns. RBC ETFs are managed by RBC Global Asset Management Inc., an indirect wholly owned subsidiary of Royal Bank of Canada. RBC ETFs are available across Canada.